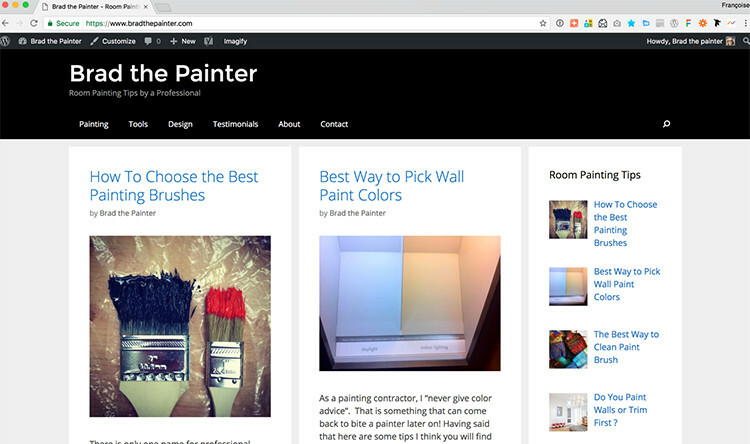 Professional Painter Website Development, Post layout such as “Professional Painting Tools” and Painting a Ceiling Tips. The development of functionalities for Hotspots, linking painting items links to an image, such as in the Respirator Mask post. Other painting posts required customs fields, to put in value the different skills required in painting walls. Same for the development of painting box products, to feature painting technique.